BOUDREAU (Boudreault, Boudreaux, Boudrot), CÉCILE (Pitre; Pellerin), b. c. 1714 in Annapolis Royal, N.S., probably the daughter of Charles Boudrot and Marie-Josephe Landry; m. there c. 1731 Jean-Baptiste Pitre, and they had 11 children; m. secondly October 1762 Pierre Pellerin in Nicolet (Que. ); d. there 13 Jan. 1811. Having escaped the massive and cruel deportation of 1755 [see Charles Lawrence*], Cécile Boudreau, her husband, and her children joined about 200 Acadian families who scattered into the woods bordering the Memramcook, Shepody, and Petitcodiac rivers (N. B.). Fortunately these families were able to count on the aid of missionary François Le Guerne* and of Charles Deschamps* de Boishébert, a captain in the colonial regular troops. The two men worked together to ensure the survival of the Acadians, provide for their sustenance, and organize their resistance to the British. Foreseeing the second phase of the expulsion, which would be carried out in 1758 [see Robert Monckton*] many of the families, including Cécile Boudreau’s, moved up the coast to Miramichi in 1757. They were exhausted, and suffered from starvation as a result of poor crops and from epidemics. 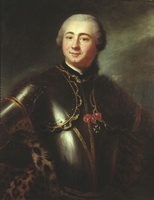 Several of them then resigned themselves to following Boishébert’s troops, which had been recalled to Québec for the winter of 1757–58. The situation at Quebec seemed little brighter. There was a dearth of supplies and a severe famine. The Acadians had to make do with cod and rotten meat. According to the testimony of several persons, these poor living conditions brought about the death of a number of Acadians. On 9 June 1758, amid the general gloom and inactivity, Cécile Boudreau had to bury her husband, who had fallen victim to the smallpox epidemic raging at the time. A month earlier she had done the same for her son Jean, barely eight years of age, and four days after her husband’s interment she buried one of her daughters. It was for such reasons that the Acadian refugees then sought to flee Quebec. Some joined Le Guerne, who had become parish priest of Saint-François, on Île d’Orléans. Others settled in the Beauce or in the regions of Saint-Joachim and Bellechasse. In 1758 a large number went to Saint-Grégoire (Bécancour); others, including Cécile Boudreau’s family, chose Nicolet. This locality, which their missionaries and the Abenakis had drawn to their attention, turned out to be a good place for a settlement. It was situated near the St Lawrence, which gave access to the gulf and to Acadia, where everyone hoped to live once again. The region offered an abundance of woods and lakes that enabled them to ensure their subsistence; moreover it was remote and tranquillity was easily found. When along with other Pitres and Boudreaus, Orillon-Champagnes, Gaudets, Laurts, Melançons, Bastaraches, Commeaus, and Rouisse-Languedocs, Cécile Boudreau arrived in this new setting to find fresh hope and take root, she still had five children with her; one of them, François, would receive a commission later as captain in the militia. She married Pierre Pellerin in 1762 and was widowed 30 years later. She apparently reached the age of 97, still strong, lucid, and courageous. An unfortunate fall then forced her to take to her bed. After 18 days during which she was willing to drink “only a little water and two shots of rum,” she died. ANQ-MBF, CE1-13, 14 janv. 1811. Arch. du séminaire de Trois-Rivières (Trois-Rivières, Qué. ), Louis Richard, “Notes sur l’arrivée des Acadiens dans le district de Trois-Rivières après 1755.” Quebec Gazette, 31 Jan. 1811. Arsenault, Hist. et généal. des Acadiens (1965). J.-E. Bellemare, Histoire de Nicolet, 1669–1924 (Arthabaska, Qué., 1924). Adrien Bergeron, Le grand arrangement des Acadiens au Québec . . . (8v., Montréal, 1981), 2: 35, 43; 5: 163, 165. P.-G. Roy, La ville de Québec sous le Régime français (2v., Québec, 1930), 2: 295–96. 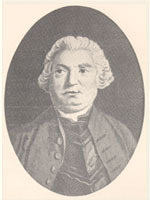 Adrien Bergeron, “BOUDREAU, CÉCILE (Pitre; Pellerin),” in Dictionary of Canadian Biography, vol. 5, University of Toronto/Université Laval, 2003–, accessed April 24, 2019, http://www.biographi.ca/en/bio/boudreau_cecile_5E.html.